The history of Golden Gate is a composite of stories about people. Many interesting and colorful characters have left memorable footprints in this amazing landscape over the years. Join San Francisco Parks Alliance for an evening with Heath Schenker, local landscape historian and author, and Professor of Landscape Architecture at the University of California, Davis. Ms. Schenker will recount stories of some of the fascinating individuals who are part of the rich history of this remarkable park. Light refreshments will be served. 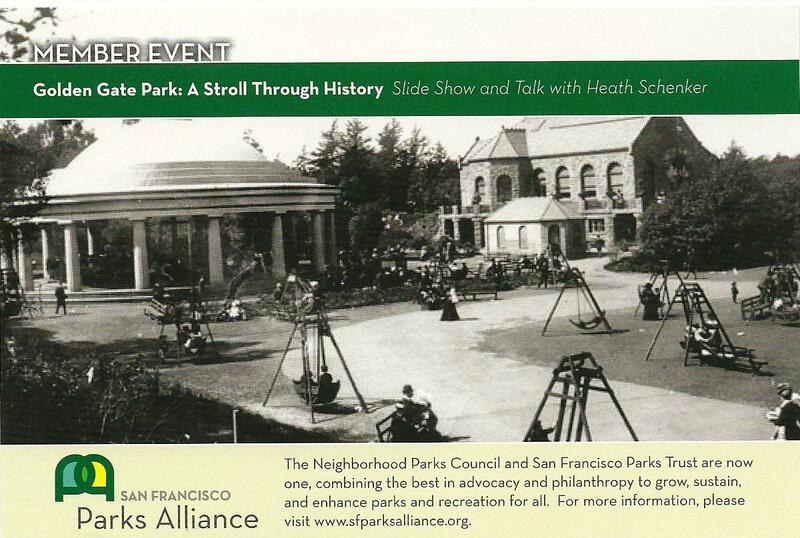 Please RSVP by Friday, October 21, 2011 to Steve Bowles at415.750.5440 or steve@sfparksalliance.org. *Includes NPC donors since 11/01/10. This entry was posted in events in Golden Gate Park, people and tagged golden gate park, golden gate park history. Bookmark the permalink. 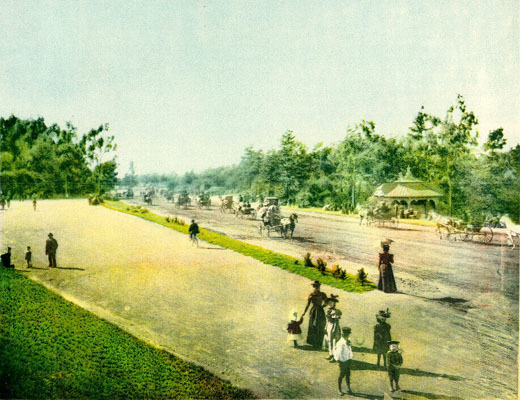 We attended your talk “Golden Gate Park: A Stroll Through History” and found it fascinating. Just wanted to tell you how much we enjoyed it and learned from it. Also, I (Liz) am co-chair of a community effort to tile our steps (extension of 16th Ave between Kirkham and Lawton). We hope to continue beautifying the Inner Sunset. You may check out our website at http://www.hiddengardensteps.org.